Apple's Logic is a fun and creative program to make music with. But if you want to start making money from your music then you'll need to approach things professionally. 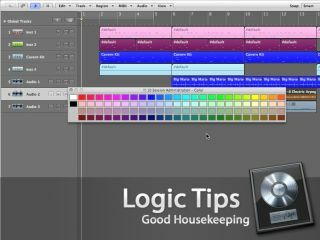 Good housekeeping within your Logic sessions is one of the many ways you can increase your efficiency. In this video lesson, we show you how just a couple of minutes spent labelling and sorting things out at the end of a session could save you hours of work if you need to come back to a track several months later. This is especially important if you're mixing a track to be sold or working on something for a client, where a few lost hours trying to make sense of an old session could equate to lost money.